This review was aimed at systematically investigating the evidence suggesting that obese individuals demonstrate impaired performance on behavioural tasks examining executive functioning abilities. A systematic review of literature was carried out by searching five separate databases (PsycINFO, MEDLINE, EMBASE, CINAHL and PubMed) and a hand search of relevant journals. Twenty-one empirical papers were identified from the search criteria and the results were considered in relation to different executive functioning domains. There is little consistency of results both within and across different domains of executive functioning. 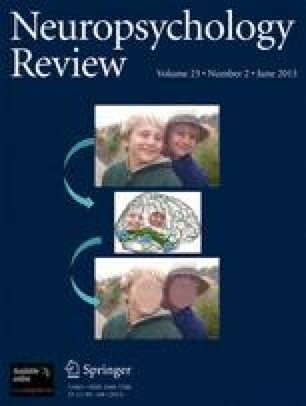 The review suggests that obese individuals show difficulties with decision-making, planning and problem-solving when compared to healthy weight controls, with fewer difficulties reported on tasks examining verbal fluency and learning and memory. A lack of replication and underreporting of descriptive data is a key limitation of studies in this area and further research is needed to examine the mechanisms underpinning the relationship between obesity and executive functioning.